If there’s one thing you’ll get used to seeing Thailand, it’s Buddhist temples. 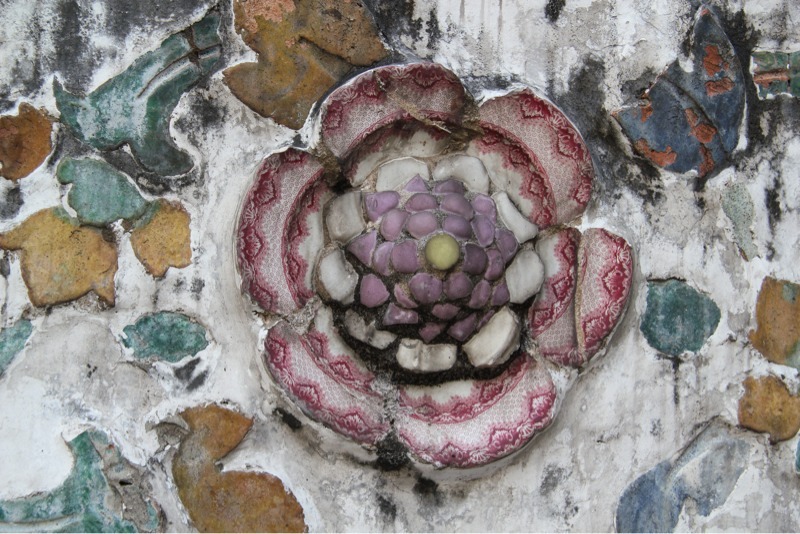 Thailand is over 90% Buddhist and temples can be found everywhere. Besides the Grand Place, my first two days were primarily spent visiting some of the more notable temples. 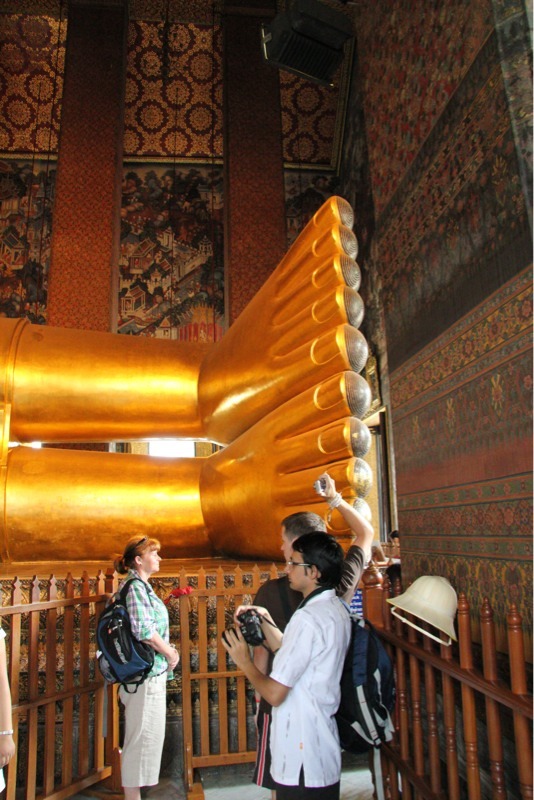 Wat Pho is known for one of the largest reclining Buddha statues in Thailand. The statue runs the entire length of the temple and is covered with gold leaf. 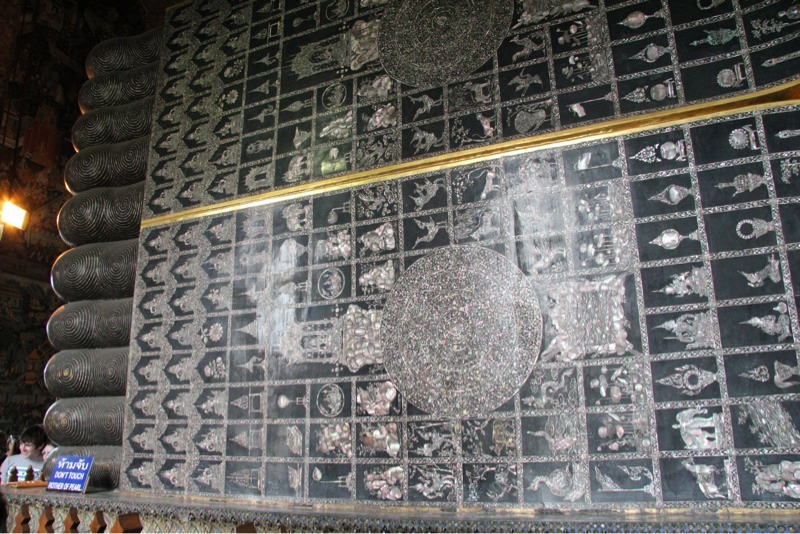 The bottom of the feet of the Buddha is made of mother of pearl. 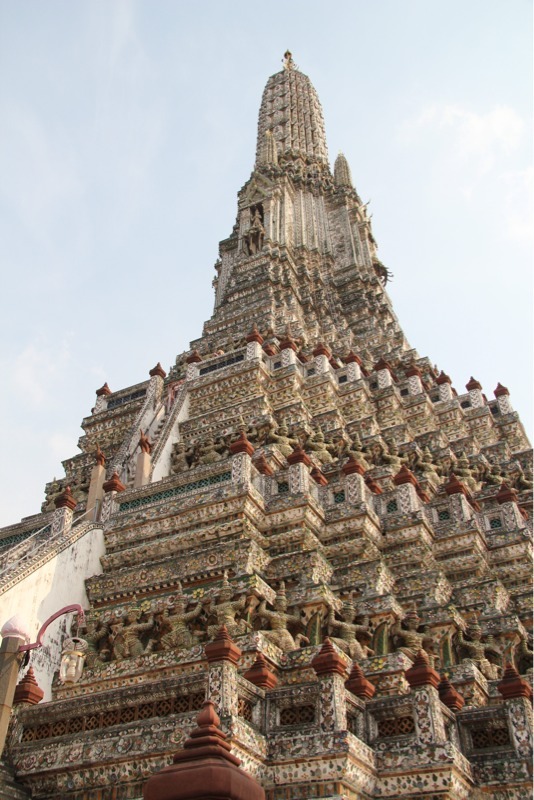 Wat Arun “Temple of the Dawn”. We saw this temple as we were sailing down the river in Bangkok. 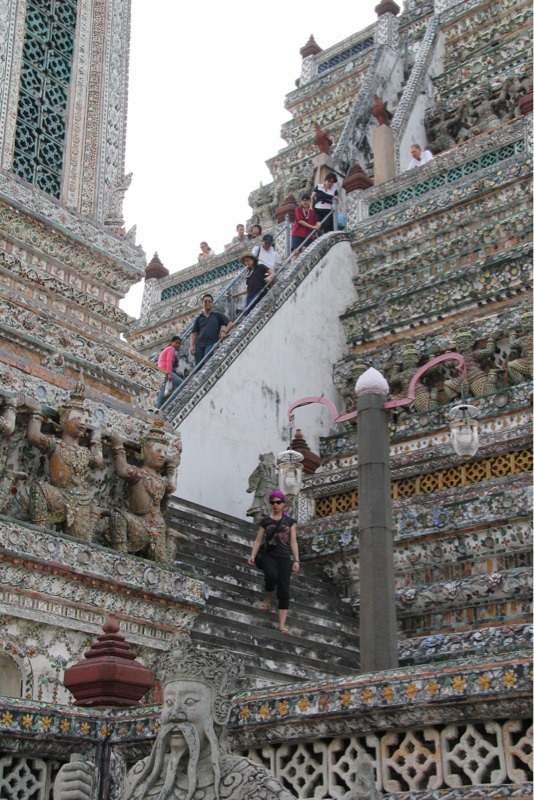 it is an enormous temple with steps that you can climb almost to the top. The steps get progressively steeper as you go up. The steepness isn’t a problem on the way up but is kind of frightening as you try to descend. 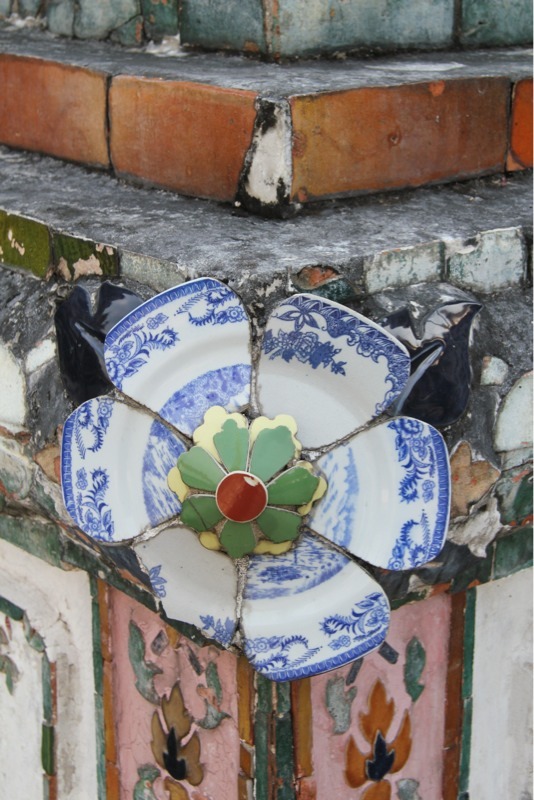 One of the interesting things about this temple is that it is covered with recycled china and other bits of ceramic. Morris – I toured Bangkok in 1996, when Thai people were prepared to host the Queen of England, as she did a tour of her former British colony. 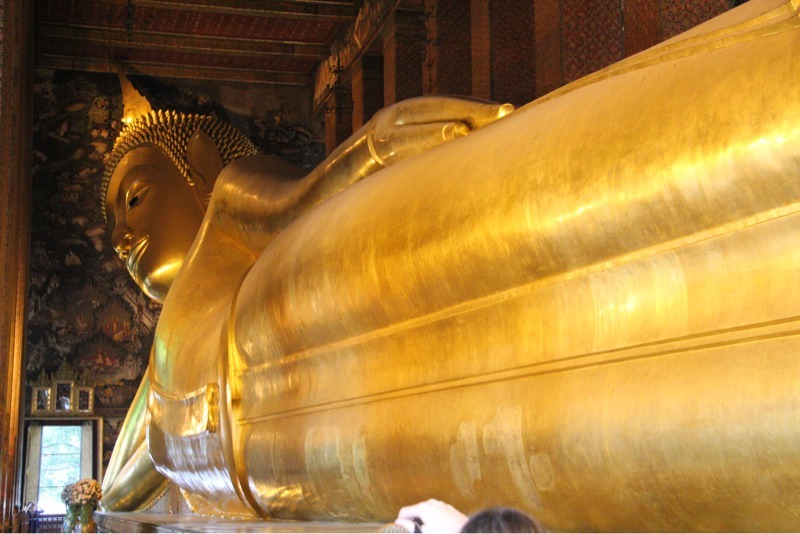 Your picture of the “Reclining Buddha” is magnificent because it is well kept over years. Thank you for sharing. Cheers – Hai. Hai- Thanks for stopping bye. It’s nice to hear from you. 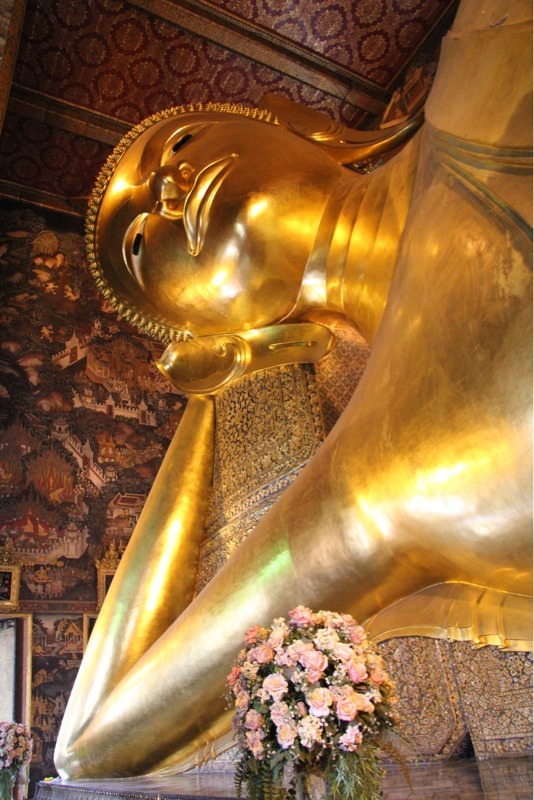 The Reclining Buddha is definitely an amazing sight. That must have been quite a spectacle when the Queen was visiting Thailand.